Provide comfort for the family of Wally Wareham with a meaningful gesture of sympathy. 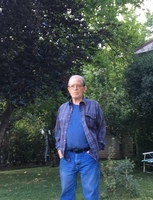 Wally Brent Wareham 79, of Glenwood Springs, Colorado passed away peacefully with his family by his side on December 6, 2018. Wally was born March 20, 1939 in Ferron Utah to Genevieve Wareham. Wally worked at Mid Continent Resources as a Coal Miner mining superintendent where he was the boss of five mine. Some of the things Wally enjoyed in life, was boxing he was a Golden Gloves boxing champion, he liked to tie flies and fly fishing, his most treasured moments were camping and fishing up on the Flats Tops with his family. Wally had a love for horses and horse shoeing. Going hunting and bugling elk was something he enjoyed so much. He loved four wheeling and boating anything outdoors he truly loved. He would also love to sit out in his front yard and patrol West Glenwood with his four dogs he adored especially his favorite dog Faith. He also has his long time pal Bandit the cat and Jackie the bird. He met the love of his life Carol in February 1969 and were married three months later for 49 years. With that love they had two children that Wally loved with all of his heart Travis Wareham and Shannon Derby and the grandchildren to follow Natasha,and Cody Derby and Nate Wareham and new to the bunch great grandson Bentley Derby. One treasured moment with the grandchildren was all the Nintendo playing he did with them for hours. He also considered Bryan Shannon’s husband as his third son, he adored Bryan. Wally also has a son Brent Wareham and his family from Montrose colorado. Wally is survived by his wife Carol, children Travis, Shannon (Bryan), Brent, grandchildren Natasha, Cody and Nate and great grandson Bentley, brothers Jimmy Blackburn, Russell Swasey (Dixie), Rodger Powell all of Utah and sister Leslie Wareham of Carbondale. He is proceeded in death by his mother Genevieve Wareham, sisters Bonnie Blackburn, and Sue Hymas and daughter Toni Leighton. Cremation has taken place and there will be no services. He will be spread in his favorite spot next summer. 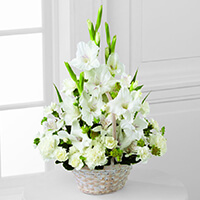 To send flowers in memory of Wally Brent Wareham, please visit our Heartfelt Sympathies Store. We encourage you to share your most beloved memories of Wally here, so that the family and other loved ones can always see it. You can upload cherished photographs, or share your favorite stories, and can even comment on those shared by others. Kenny Moe and Family sent flowers to the family of Wally Brent Wareham. Wally Wareham. My neighbor for a few years in Glenwood Springs on Juniper St. Always, kind and extra willing to help out no matter what he was asked to do. He cared for the elderly in the neighborhood. My sincere condolences to Carol, Shannon, Travis and the extended family. Godspeed Wally. Thank you for the nice memories. A lifetime of wonderful memories. Rest in Peace Wally, you will be missed deeply! Kenny Moe and Family purchased the The FTD Eternal Affection Arrangement for the family of Wally Wareham.